February is national children's dental health month. According to the American Academy of pediatric dentistry (AADA), forty-four percent of cavities occur on the chewing surfaces of baby teeth, which are called pits and fissures. Decay can be prevented with dental sealants for children. 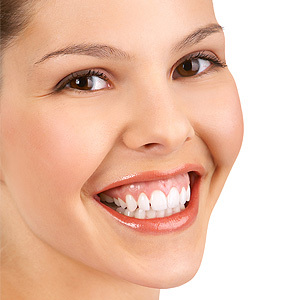 Sealants are a thin coating applied to the grooves on the chewing surfaces of the back teeth. The back teeth are most likely to indicate decay. Sealants also prevent food particles and germs from getting stuck in the grooves of teeth. Sealants are usually applied' between the ages of six and twelve. They usually last five to ten years, depending on the patient's oral hygiene routine. Developing healthy habits at an early age and scheduling regular dental visits helps children to get a great start on a lifetime of healthy teeth and gums. Placing sealants is a fast procedure. There is not any drilling involved, and the sealant is white to match the teeth. The American Academy of pediatric dentistry (AAPD) recommends that a child can begin visiting the dentist by the age of one or within six months after the first primary tooth erupts. Don't forget to call us and make your children's dental cleaning and Check up the appointment!